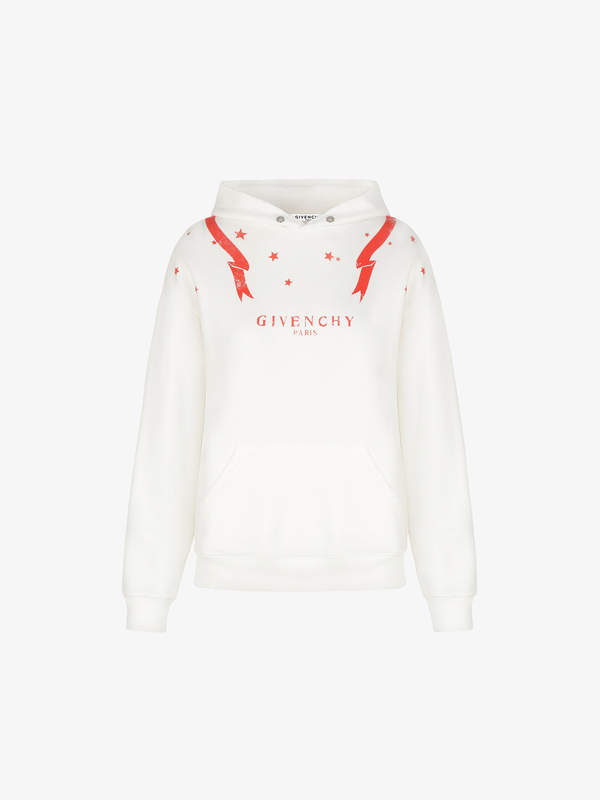 Hooded off-white felpa sweatshirt with red Gemini zodiac print on the back and GIVENCHY PARIS signature on the chest. Metal eyelets on the hood. One large pocket on the front.